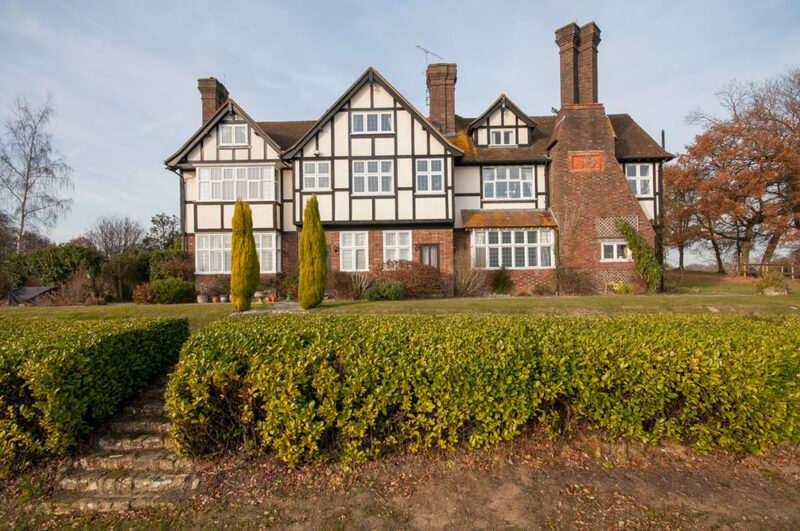 A beautifully appointed top floor apartment with far reaching views to the South Downs. The apartment forms part of Monks Manor, a country house conversion with fabulous communal grounds including a swimming pool and tennis court. 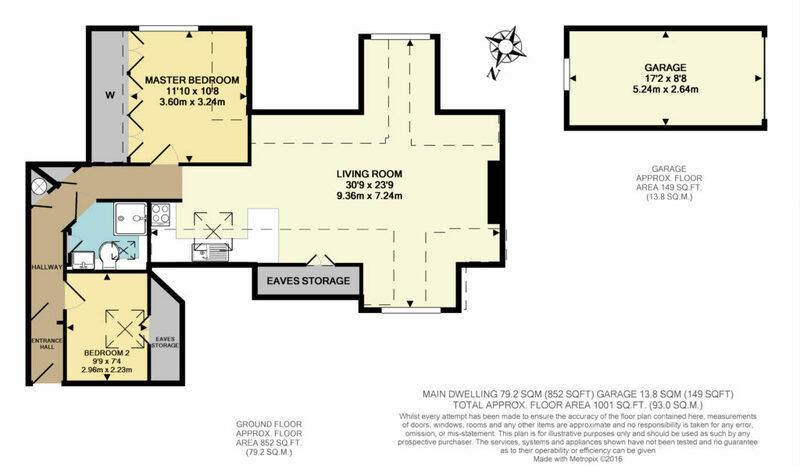 The current owner has improved the property significantly, with a particular feature being a large open plan living room/kitchen ideal for entertaining. 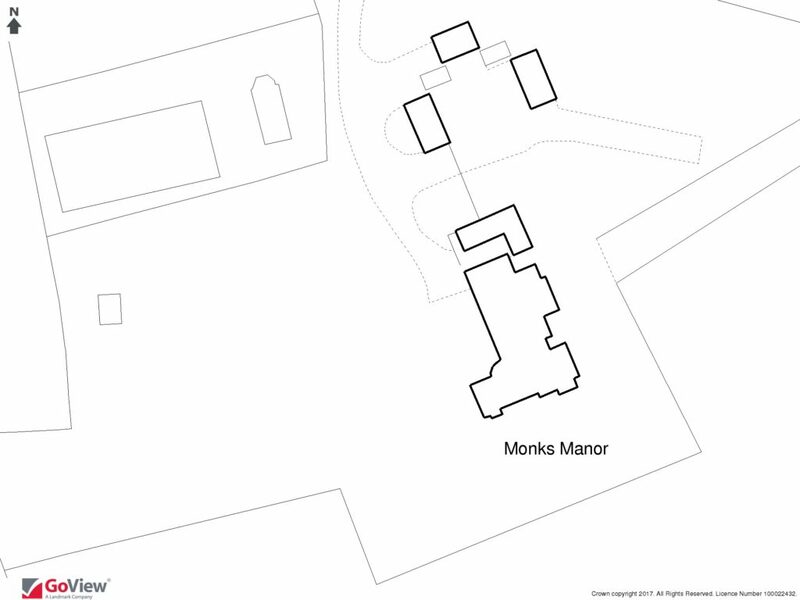 Monks Manor is surrounded by its own grounds which include formal gardens, a tennis court and a swimming pool. 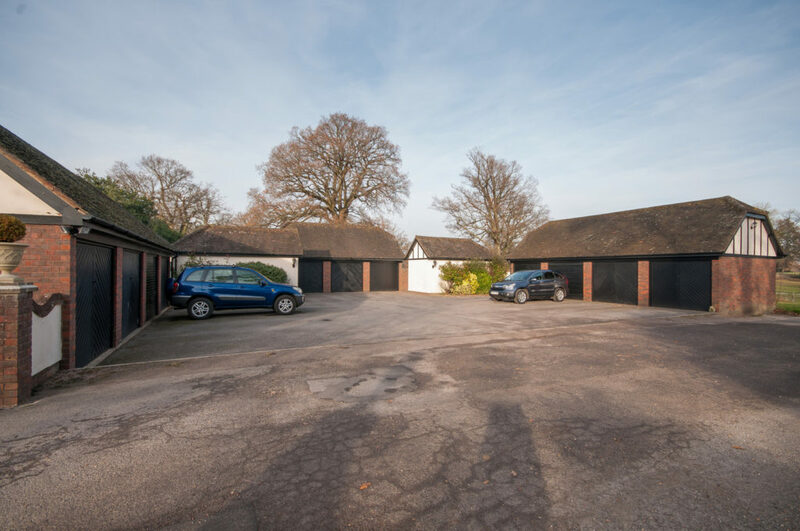 It is approached by a long driveway and there is plenty of parking for residents and visitors, and a garage in a block. 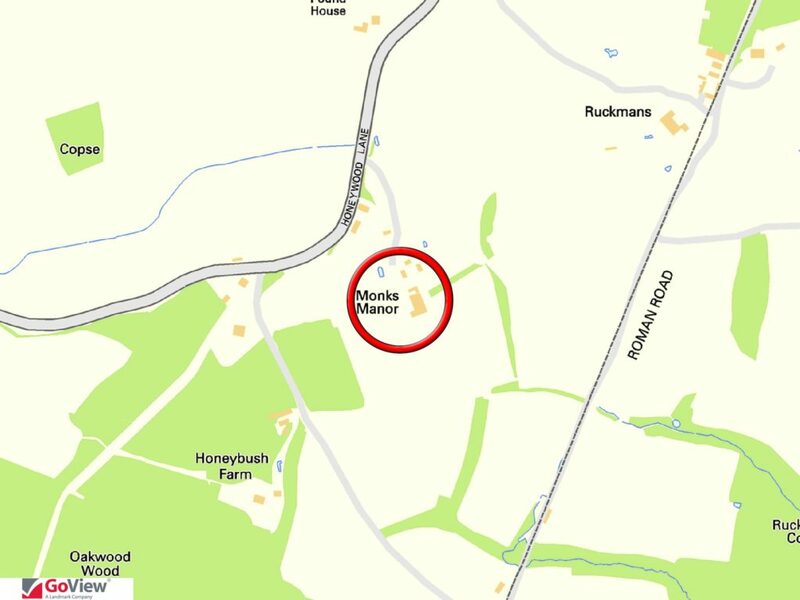 The manor house sits in an elevated position with far reaching views to the South Downs. There is an entry phone system and the front door opens into a communal entrance hall, with oak paneling and a grand staircase which leads to the first and second floor. 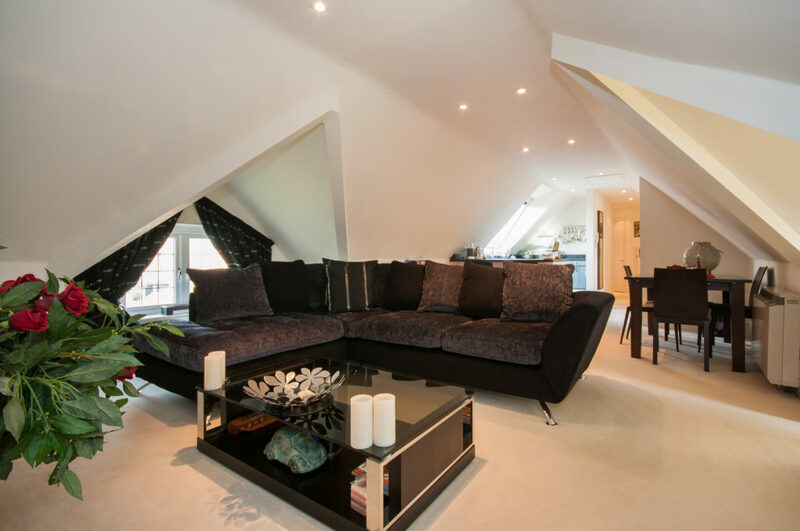 This top floor apartment has been stylishly refurbished by the current owner and features a distinctive open plan living room and kitchen arrangement that is ideal for entertaining. 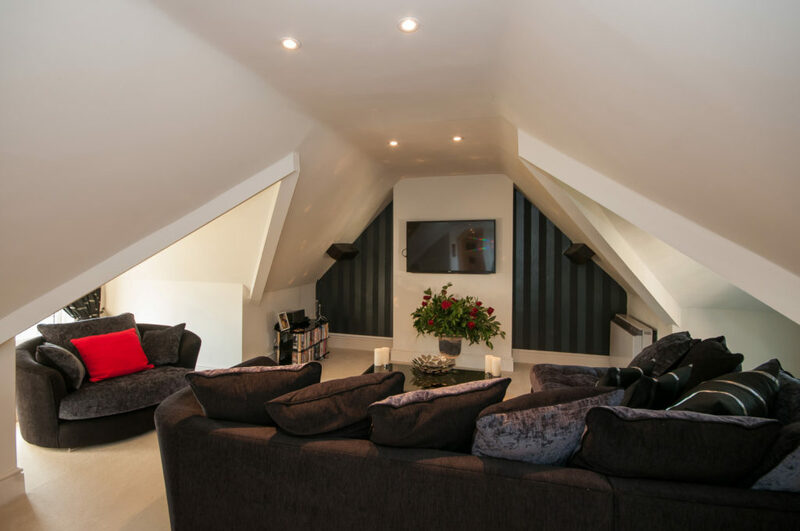 The sitting room has a wall mounting for a flat screen tv, around which the seating is arranged. 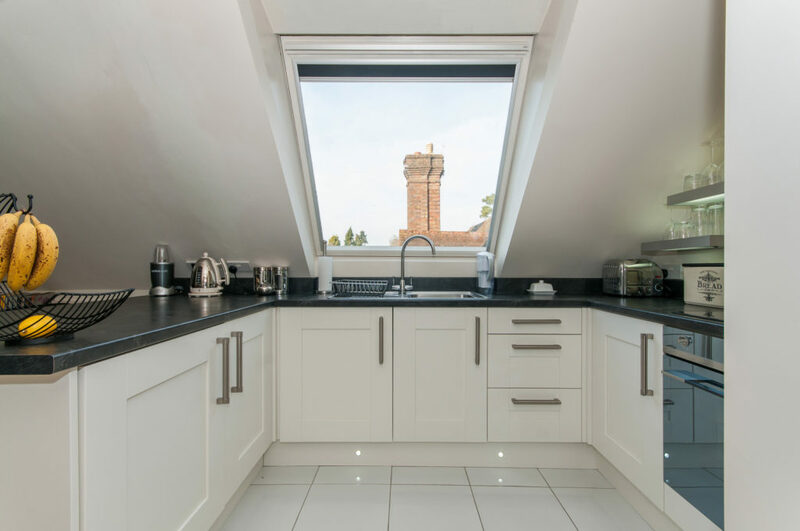 There is also room for a table and chairs, whilst the kitchen is fitted with a range of white high gloss units, black worktops and a range of integral appliances. 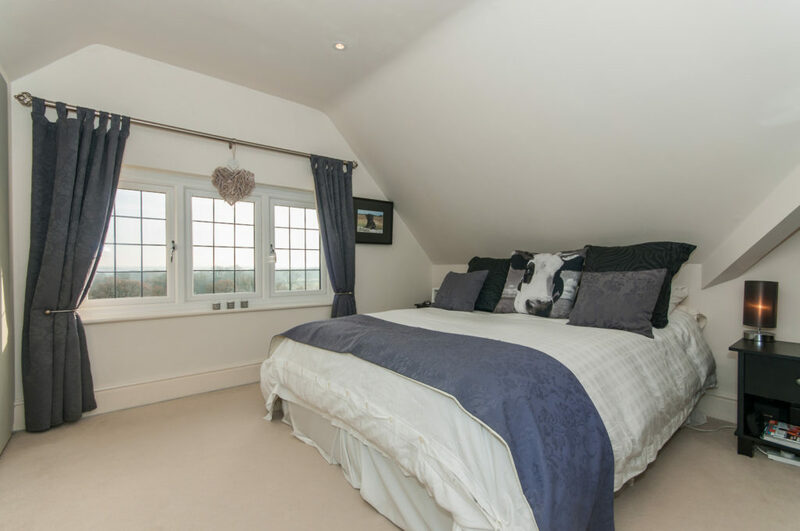 The master bedroom is a good size with a wall of build-in wardrobes and spectacular far-reaching views. Bedroom two is more modest in size, but could easily double up as a study/occasional guest bedroom. 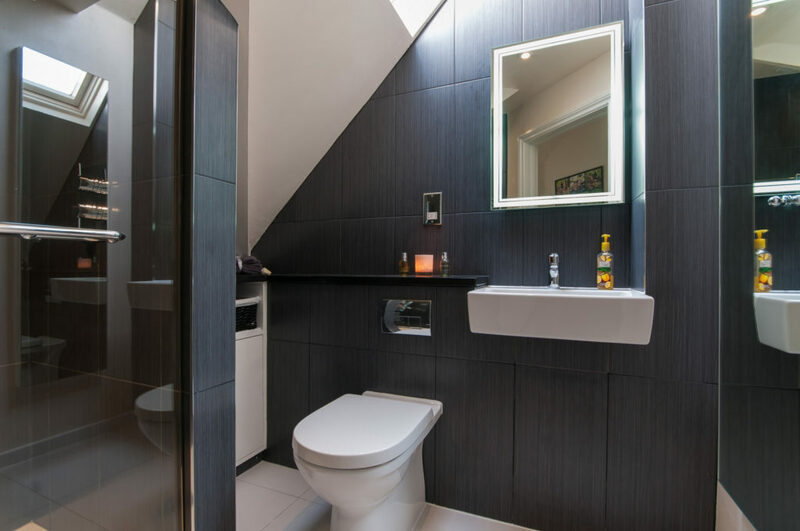 Both bedrooms are served by a very stylish and luxurious shower room which is fully tiled and has a floating sink, built in vanity unit and glazed shower cubicle. Oakwood Hill is close to the village of Ewhurst with it’s medieval church, excellent local shop and ‘The Bulls Head’ public house. 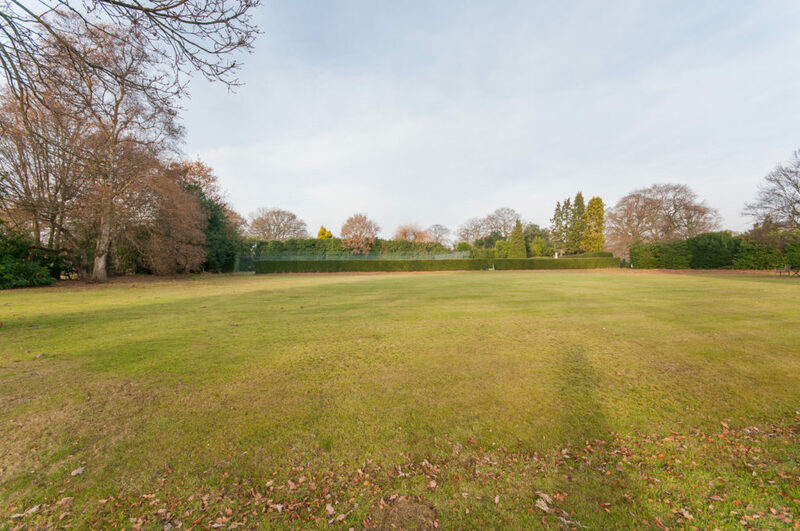 It sits at the foot of the Surrey Hills, which provide over 3,000 acres of woodland and heathland that includes Holmbury Hill, Leith Hill, and Pitch Hill, which is held in trust and open to the public. It is therefore a haven for walkers, horse riders and cyclists. 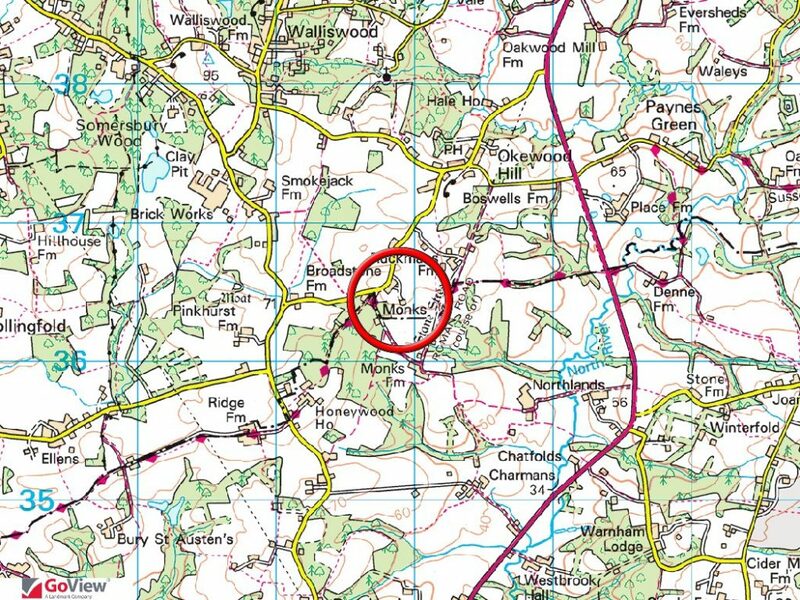 The larger village of Cranleigh is six miles to the north and is said to be the largest village in the country. The High Street boasts two independent department stores, M&S Food and a selection of restaurants and cafes, many with pavement seating. The modern Health Centre, Leisure Centre and Arts Centre are situated at the southern end of the High Street. There are two supermarkets and a healthy variety of independent shops, as well as some better known names. Horsham is 8 miles away and provides a mainline train station with a fast service to Victoria and London Bridge. The A24 also provides quick access by car to the Dorking and the M25. Dorking provides a diverse range of social and recreational facilities: including theatre, cinema and shopping arcades. Central London is 38 miles by road. The fast train service from Horsham into Victoria takes 58 mins, whilst Dorking to Waterloo is 51 mins. Gatwick airport is 16 miles. 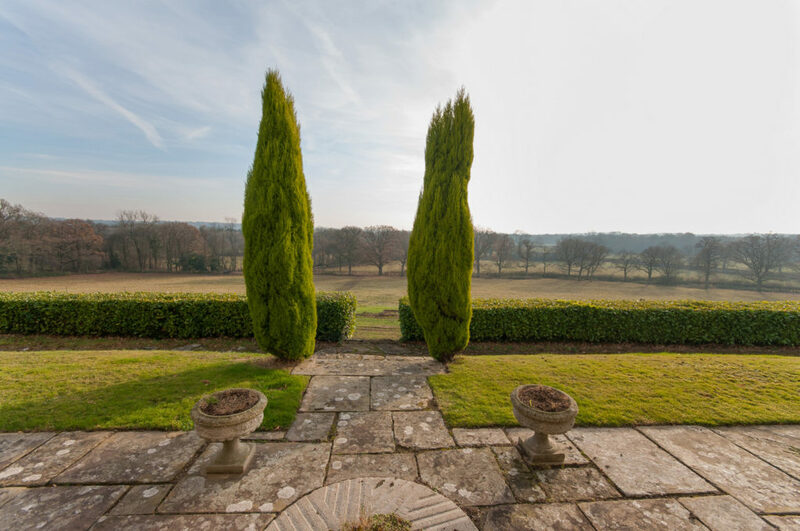 A beautifully appointed top floor apartment with far reaching views to the South Downs. 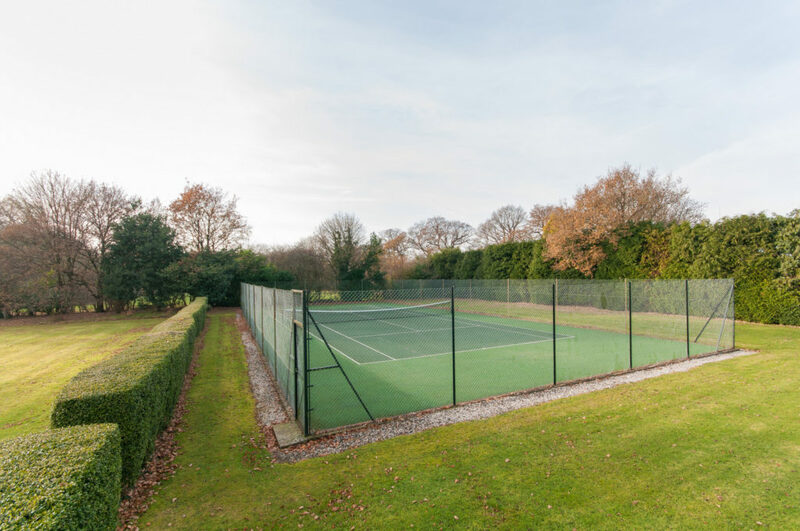 The apartment forms part of Monks Manor, a country house conversion with fabulous communal grounds including a swimming pool and tennis court. The current owner has improved the property significantly, with a particular feature being a large open plan living room/kitchen ideal for entertaining. EPC Band C.